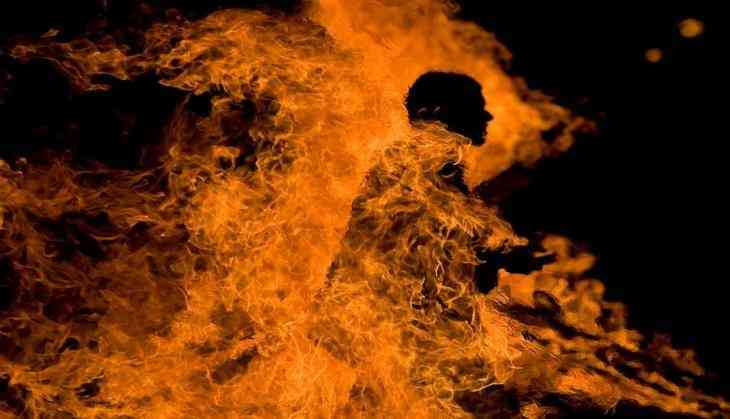 In a shocking event, a 32-year-old Dalit man in Uttar Pradesh's Mathura district was allegedly set ablaze by 2 men on Friday after he refused to share a packet of 'gutka'. The incident reportedly took after the victim identified as Pardesi had a scuffle with 2 men, named Rahul and Raju Thakur. According to Zeenews report, the 2 accused allegedly attacked the victim first and in the heat of the argument, they poured kerosene and set him on fire. On Friday night the incident took place in Satoha Village of Mathura district, said the Deputy Superintendent of Police Vinay Singh Chauhan. After the incident, people rushed towards the victim and doused the fire. However by that time he received 20% burn. The assault on Dalit man in Mathura comes after Dalit officer, Dr Seema, a deputy chief veterinary officer was denied drinking water in Uttar Pradesh’s Kaushambi due to her Dalit identity on Tuesday, July 31. According to a news agency, PTI, Dr Seema alleged that 2 village heads to give her water because she belonged from a Dalit community and also directed other villagers to not to give her water. She further said that she had no water left in her water bottle and was denied water for two-and-a-half-hours despite being a diabetic patient, due to which her arms and limbs began to tremble. Will Sonam Kapoor star in another woman-centric film after Neerja?